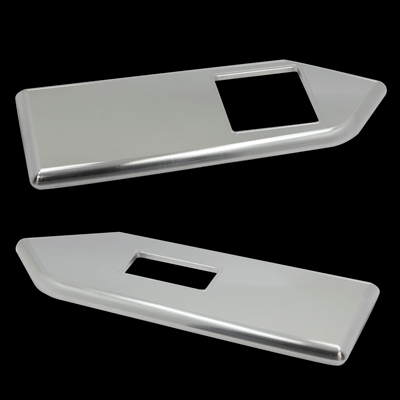 Innovative Bold Styling: UPR's newest interior upgrade for your 2010-2014 Mustang Hardtop are these Billet Window Switch Plates. They are machined to fit around the factory window switches for both the driver and passenger side armrests. Quality Construction: Machined from a 1/2" thick Solid 6061 Billet Aluminum to fit around your factory switches, while giving you the bold clean styling of our aftermarket Dress Ups for your American Muscle Car. Installs in 5 minutes or less with the supplied 3M adhesive. Fits these Vehicles: 2010 2011 2012 2013 2014 GT V6 V8 4.6L 5.0L 3.7L Mustang Shelby Steeda Roush & Saleen Vehicles. Made in the USA!